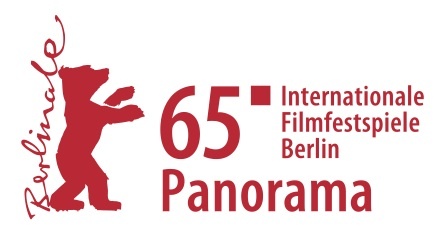 The eleven fictional and eight documentary films selected at this early date already provide a foretaste of the contents and global issues of the forthcoming 36th Panorama programme. East Asia will again make a strong showing in 2015. Already confirmed are significant works by renowned directors from Taiwan and South Korea. They could be labelled “modern history” or even “national traumas”. With Paradise in Service, director Doze Niu Chen-Zer from Taiwan presents a difficult chapter of East Asian history that has hardly ever been dealt with before: the establishment of brothels to keep up the morale of armed forces in the battle “against Mao”. And with JK Youn’s epic Ode to My Father, South Korea, half of a still divided country, investigates the repercussions of the Korean War and their impact on today. The USA’s presence will also be felt: After Henry Fool and Fay Grim (Panorama 2007), cult filmmaker Hal Hartley, an iconic figure from the golden days of 1980s US-independent film, has concluded his trilogy with a masterpiece: Ned Rifle. And Justin Kelly provides an unusual directorial debut with I Am Michael, which was co-produced by Gus Van Sant. In it James Franco portrays a gay activist during the so emancipating 1980s, who then tries to turn straight in the 1990s. From the same decade, but set in the 1980s is an example of a filmmaker’s extraordinary perseverance, even though his work was edited beyond recognition by its investors: seventeen years after the premiere of the film 54 about the legendary New York nightclub, Studio 54, director Mark Christopher is presenting his original cut 54 – The Director’s Cut to the public. Winners of the Panorama Audience Award 2009 were The Yes Men, those satirists, anarchists and pranksters in pursuit of unscrupulous profit mongering. In 2015 they will be back in Berlin for the third time with The Yes Men Are Revolting. They now aim their barbs at the Copenhagen Climate Conference and create havoc for the oil giant Shell. Raoul Peck will present his latest work in the Panorama: the Haitian-French-Norwegian co-productionMurder in Pacot (screenplay: Pascal Bonitzer). A character piece set outdoors against the catastrophe of the earthquake in Port-au-Prince looks with bitter rage at class distinctions in Haitian society. One film from Latin America has already been confirmed, a co-production from Uruguay, Chile and Nicaragua: Aldo Garay’s The New Man. Here, too, recent history is explored: in the heat of the battle that Tupamaros and Sandinistas are fighting against the military dictatorships in their respective countries, Roberto, a young boy from Nicaragua, suddenly finds himself with foster parents in Uruguay. When he then decides to change his gender, he is also confronted with the limits of tolerance in leftist society. Child abuse is the subject in several works, including the aforementioned The New Man, and films from Austria (The Last Summer of the Rich by Peter Kern), Switzerland (Dora or the Sexual Neuroses of Our Parents by Stina Werenfels), Canada (Chorus by Francois Delisle) and the Czech Republic (Daniel’s World by Veronika Liskova). Evidently the time is ripe to broach this difficult topic again and in so doing take even greater risks. The Norwegian fictional film Out of Nature by Ole Giæver and Marte Vold is a zeitgeisty parable about a man, and his search for identity and joy in life. The young father needs a break from parental bliss: he retreats to the mountains to rethink what he wants from life. In the Swedish contribution Dyke Hard by Bitte Anderson, all the stops have been pulled on what makes indie cinema so entertaining. A zany, quasi musical of post-punk-lesbo-rock-‘n’-roll calibre: this is underground fun at its purest. B-Movie – Lust & Sound in West-Berlin by Jörg A. Hoppe, Klaus Maeck and Heiko Lange also embraces this rediscovered pleasure in the 1980s: a cornucopia of unbridled creativity spurts from this period in Berlin, which is revealed here to have been a highpoint. Alongside almost forgotten gems are tracks by Gudrun Gut, Blixa Bargeld and Nick Cave, among others. Scandal at the Zoo Palast: R.W. Fassbinder’s conquest of the Berlinale began with Love Is Colder than Death in the 1969 Competition. In Fassbinder – To Love without Demands, Danish filmmaker Christian Braad Thomsen opens his archive and generously gives us a contemplative afternoon in a hotel room in Cannes with this unendingly inspiring filmmaker. Kenya is among those African countries where, under the influence of evangelical organisations from the United States, hatred has been ignited against homosexuals. In Stories of Our Lives, Jim Chuchu lets a whole range of brave people talk. Banned in its country of origin, the film also presents pre-Christian rites that respect self-determination much more than society today. In his 162-minute 3D documentary Iraqi Odyssey, Iraqi-Swiss filmmaker Samir masterly depicts the latest, highly complex history of Iraq as revealed by events in a family. Last not least, news of a celebration! On February 13, 2014, the Teddy Awards will be presented for the second time at the Komische Oper Berlin. The Special Teddy 2015 will go to Udo Kier. Almost no other actor has crossed, fused, redrawn and extended the many boundaries of cinematic art with such ease. Please find further Information about the programme from Panorama Head Wieland Speck here, PDF (184 KB).